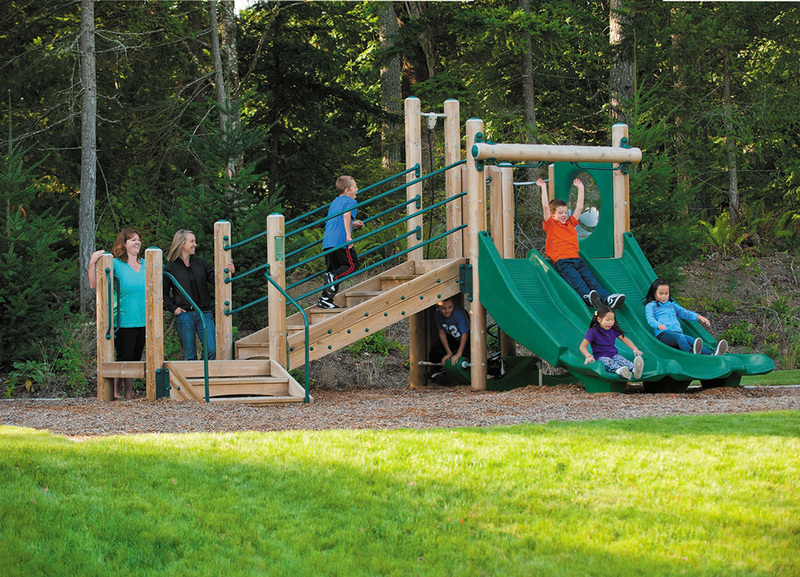 Compact yet creative, the Escapade offers two climbing events and our terrific Triple Slide. 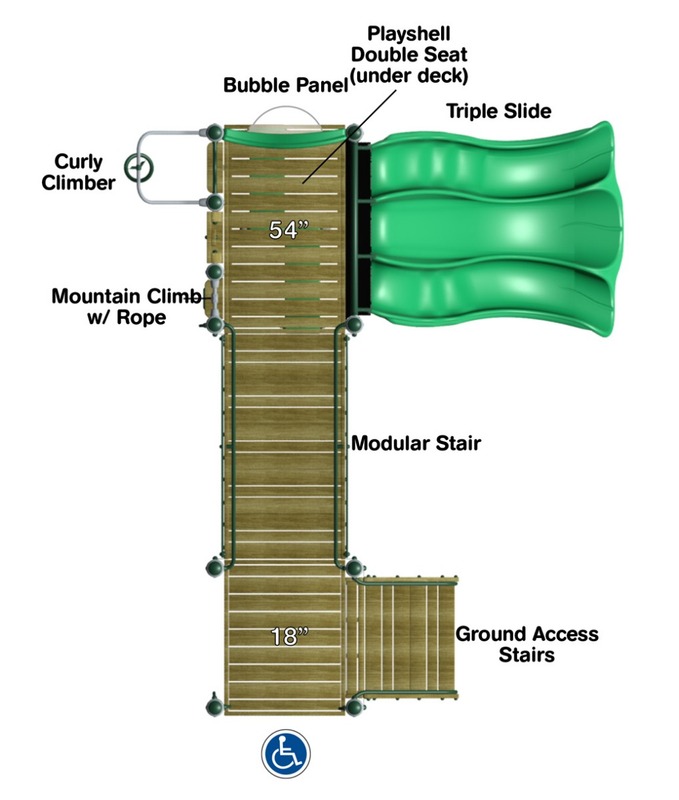 Children can scale the Curly Climber or Mountain Climb or choose to socialize with friends on the PlayShell seats below. 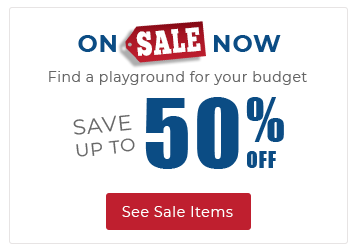 two climbing events and our terrific Triple Slide. 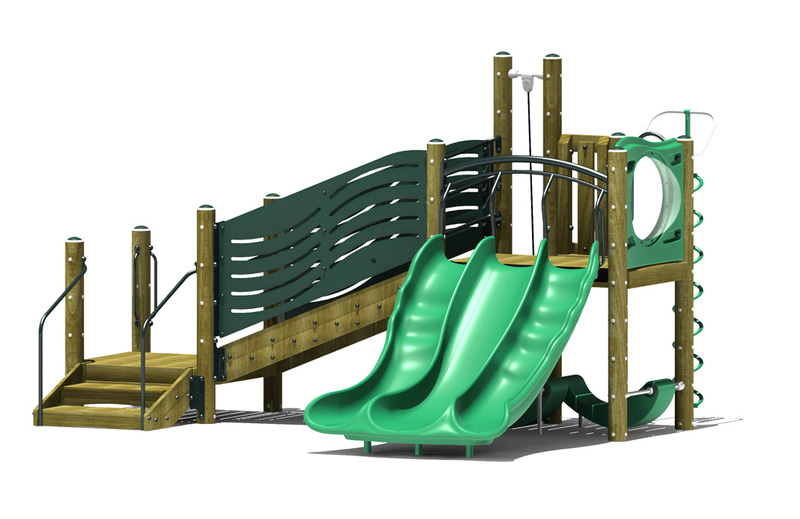 Children can scale the Curly Climber or Mountain Climb or choose to socialize with friends on the PlayShell seats below.